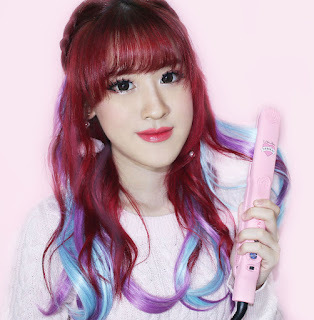 Stands up to sweat, water, sebum and rubbing, creating a crisp, black line that lasts for hours! The fine brush has just the right degree of flexibility to enable you to draw any kind of line neatly and crisply! POINT1 Will not run or come off easily! Waterproof formulation that stands up to sweat, sebum and rubbing. 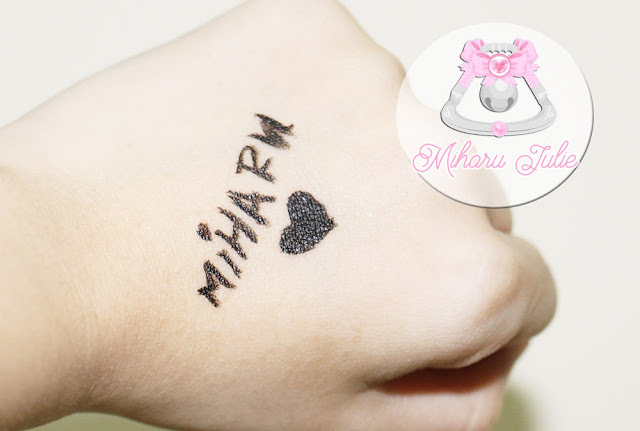 Will not come off easily, even if you cry or rub your eyes! POINT2 The fine brush ensures that all of the lines you draw look great! The fine brush has just the right degree of flexibility to enable you to draw any kind of line, just the way you envisage it! Perfect for drawing fine lines at the edge of your lids, filling in the gaps between each lash, and creating a line that extends upwards at the outer corners of your eyes! The brush feels stable as you draw the line, so you don't need to worry about your hand shaking! POINT3 Film-type formulation makes make-up removal simple! Will not run or come off easily, but can be removed simply with lukewarm water! POINT4 A strong ultra-black that gives your eyes the ultimate in impact! We've paid particular attention to color in creating this strong black! Enhances the impact of your eyes! The beautiful color lasts for hours, looking as though you've only just applied it. No unevenness in color. POINT5 Beauty essence eyeliner is kind to your eyes. The deepest black, to create strong-looking eyes. A sweet, gentle brown that gives your eyes added impact. 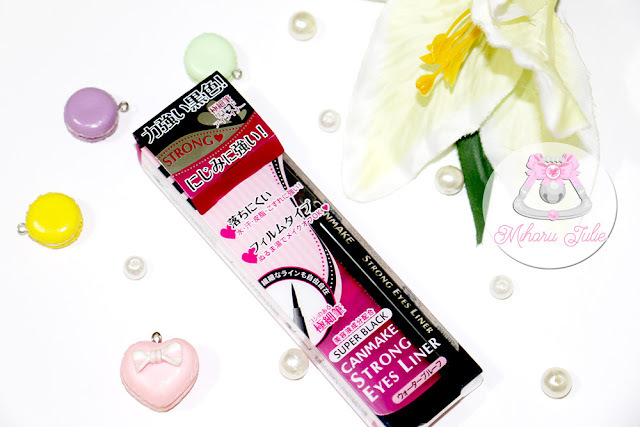 Today I am going to talk about CanMake's strong eyes liner . 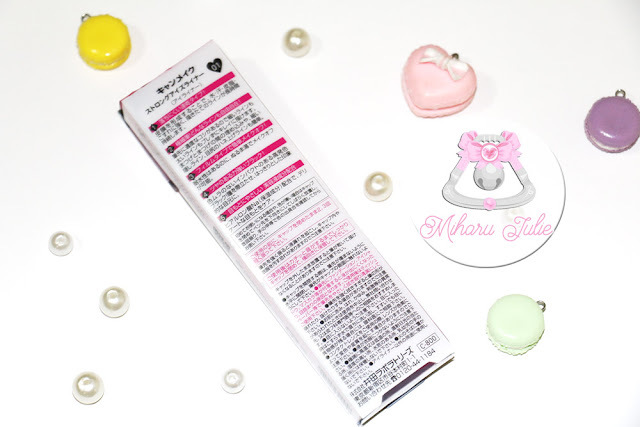 To talk about it further, the box promotes that it's a film type eyeliner which means that as you brush it on your eyelid it's as if you're placing a thin film of paint on it, and the other selling point is that it will not be easily removed by water. 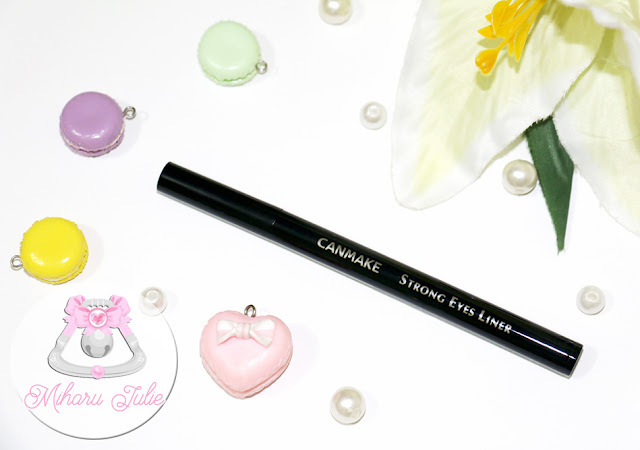 The Canmake Strong Eyes Liner comes in 2 shades – black and brown. You can distinguish the colours from the cap. This one is in black . I'm happy to note that this eyeliner dries very quickly and also lasts very well through sweating and being out and about in humid conditions while being worn over eyeshadow. Swatches of Canmake Strong Eyes Liner in Super Black ! From the swatches, you can see that it is really pigmented in one swipe, but you can also layer it to build up opacity and draw thicker lines. It also dries very fast, and does not budge when you rub it. This sounds really nice! I hate it when eyeliner rubs off! So annoying! It love it the product!!! Love its long lasting properties and of course the colour black. ahhh the eyeliner looks to be a very dark black! 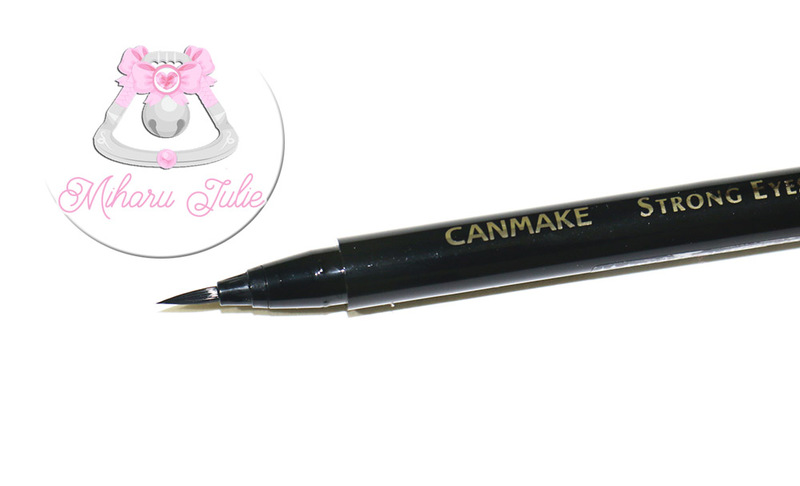 I like canmake and was thinking of getting some of their stuff, might get the eyeliner now! Love the eyeliner, nice review. Great review Julie, nice product. ujung nya itu kuas apa aya spidol ka ?